Serve with tortilla chips, or press 4 corn tortillas in a muffin tin and bake at 350° until crispy, about 10 minutes. 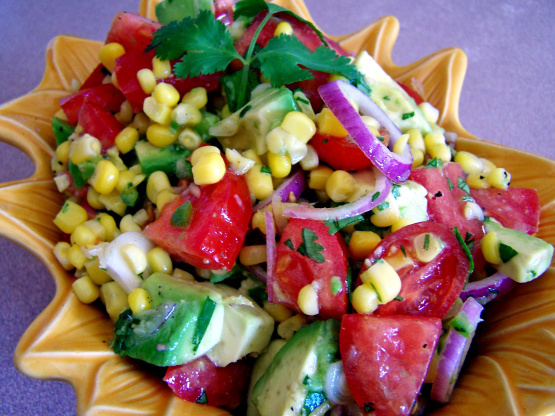 Serve the salad in the corn tortilla bowl. Add avocado, onions, corn and tomatoes. Toss into dressing. Let sit for 30 minutes, toss and enjoy!